Today, in absolutely genius news, Brit + Co recently shared a DIY too cute not pass along to our readers. 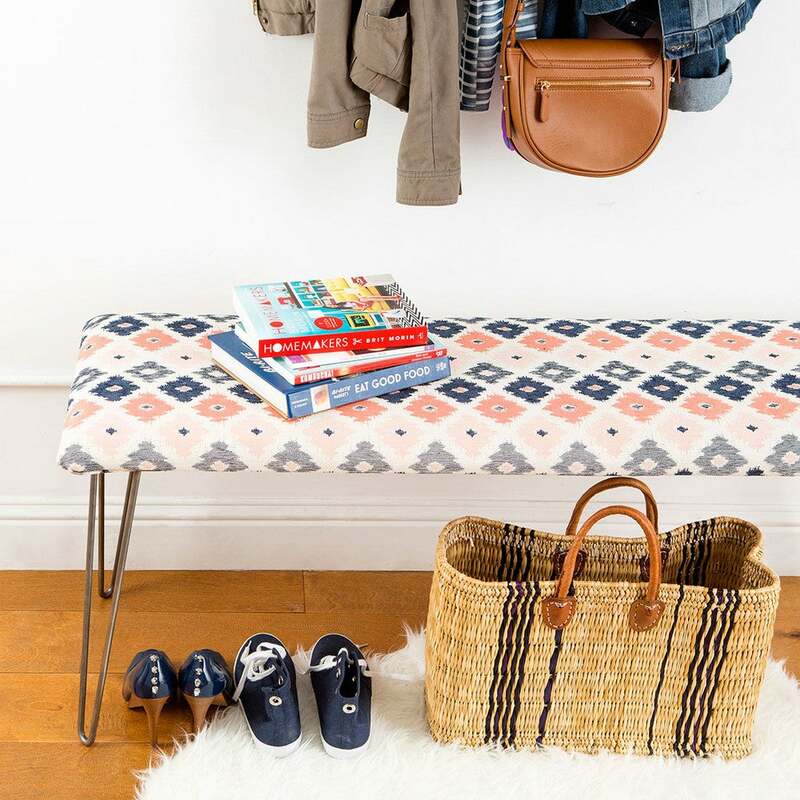 If your entryway feels a little ho-hum, this bench DIY will create not only practical seating (and a place to drop your bag at the end of the day), but it will also add to your decor in a way that’s uniquely you, as you’re selecting your own print and fabric texture. The DIY really does look do-able, so much so we bet you’ll find a need for this bench in almost every room in the house! Learn how to make this adorableness for yourself atBrit + Co!